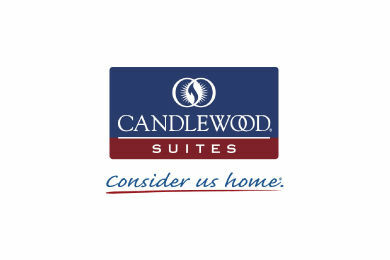 *Consider yourself at home at the Candlewood Suites Columbia Ft. Jackson. This Columbia hotel is located in the heart of the city's metropolitan area near the intersection of I-77 and Garners Ferry. Our hotel is close to the Columbia Metropolitan Airport Ft. Jackson the Koger Center for the Arts the State Farmers Market the downtown USC Campus and local business parks. Our location couldn't be better but what will really impress you is our spacious all-suite accommodations. Prepare and enjoy a home-cooked meal whenever you like in your fully-equipped kitchen. Choose a movie from our free library and kick back in your over-stuffed recliner. Work comfortably at your spacious executive desk. Take advantage of free high-speed Internet access and two phone lines to accomplish everything on your list. Visit our business center for all of your printing copying and faxing needs. Introducing the NEW & IMPROVED Candlewood Suites Columbia/Ft. Jackson! Here at Candlewood Suites Columbia/Ft. Jackson, we have always been committed to providing exceptional customer service. We understand the needs of our guest, especially during these hard economic times and have made some changes to provide you even more value for your money! Along with our normal amenities, we have added several NEW amenities to make your stay even more enjoyable and relaxing! Check out our NEW Arriivals listed below.